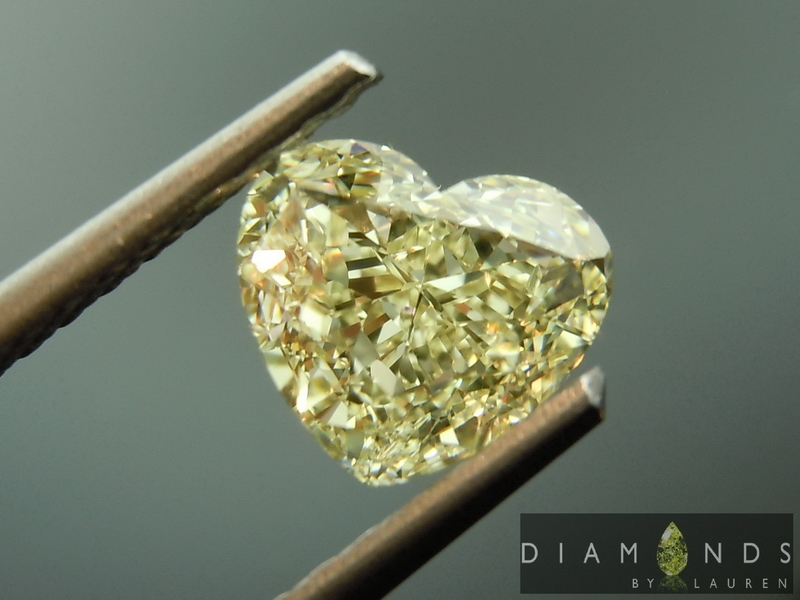 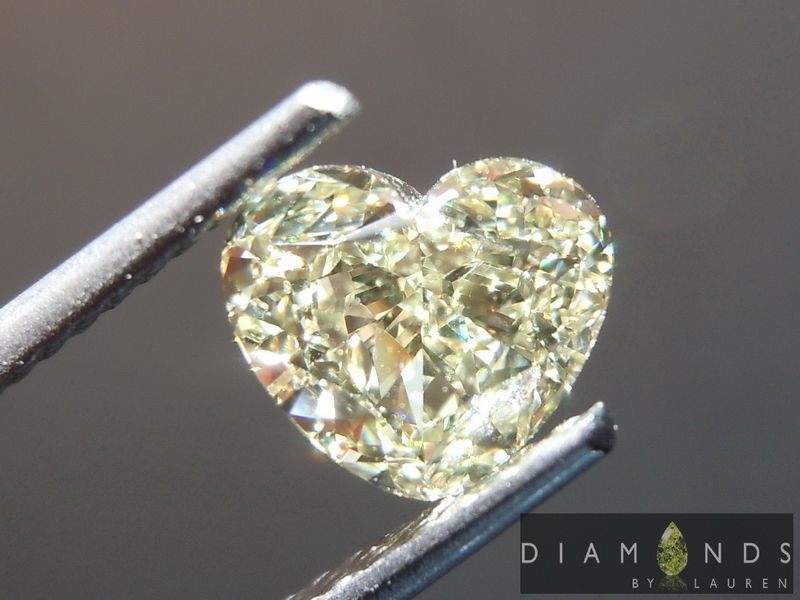 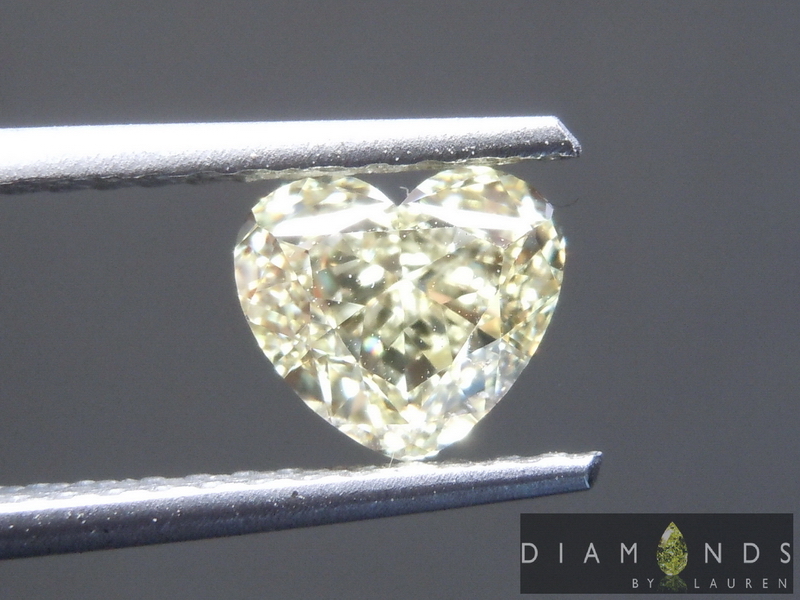 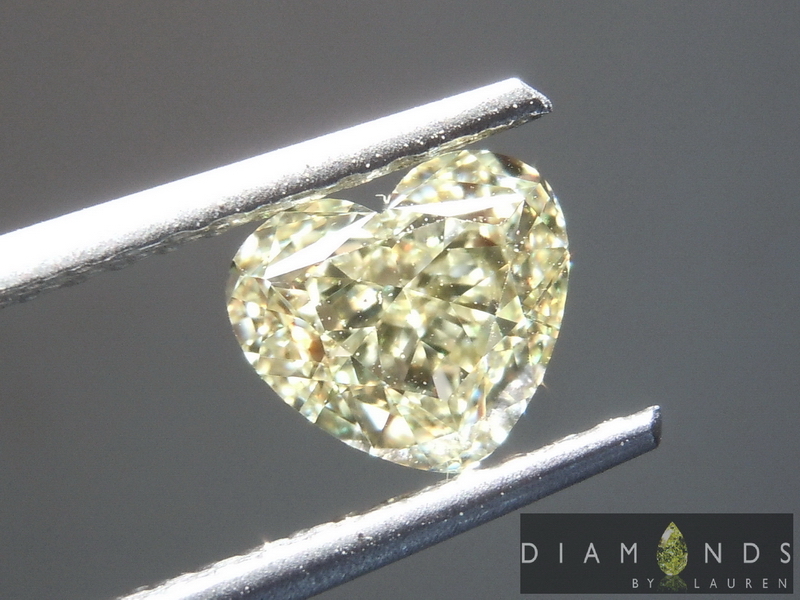 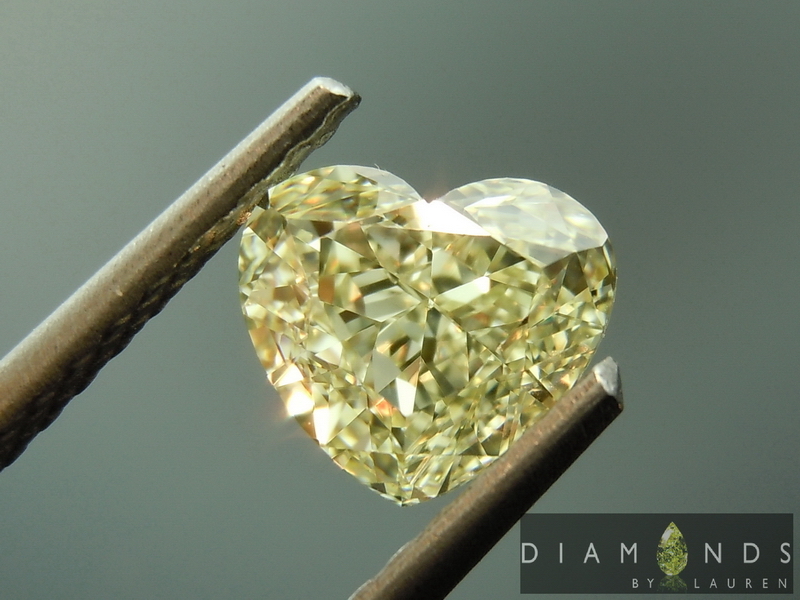 If you are looking for a super well cut Heart Shaped diamond in a luscious light lemon yellow color, you can cease your search. 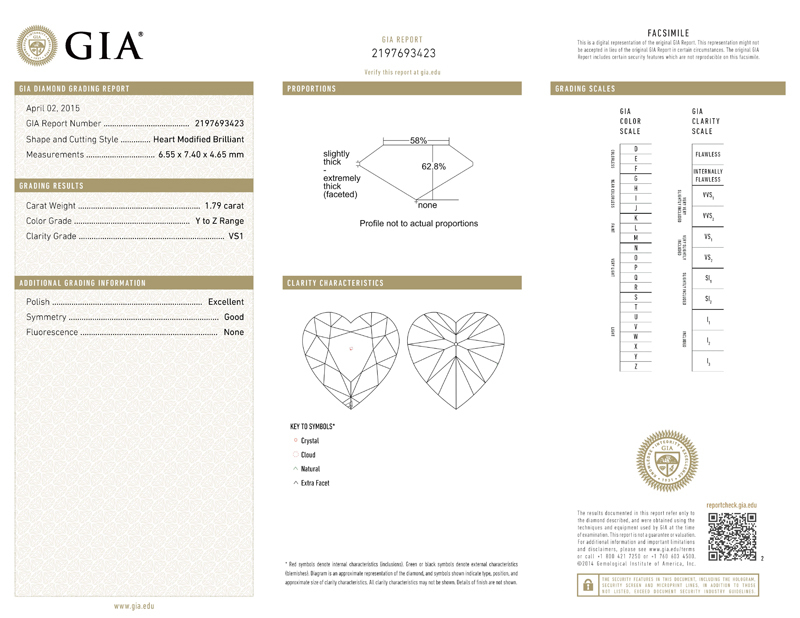 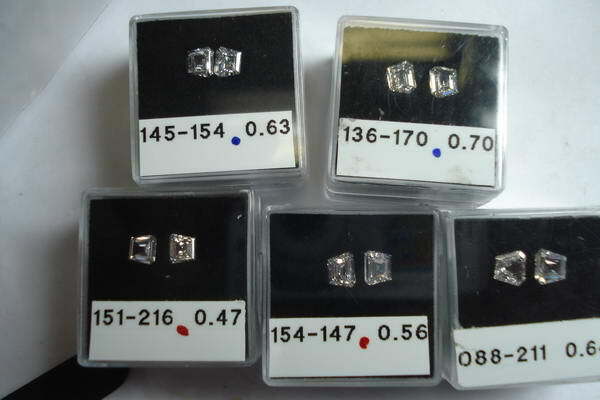 This VS1 diamond is super well cut. 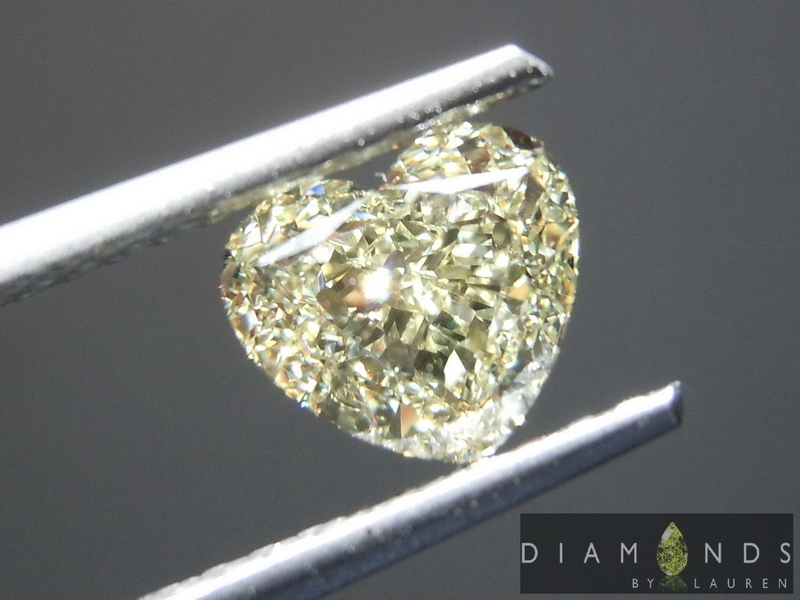 Perfect shape and lots of size for the weight. 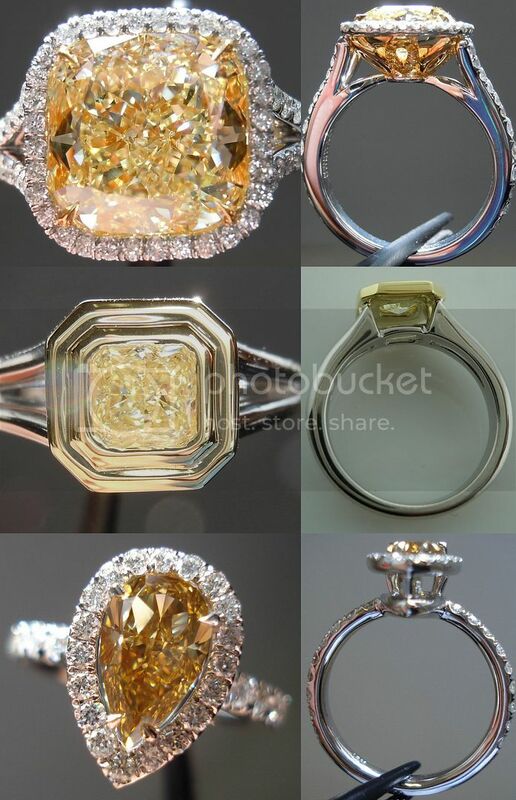 Strong color - close to Fancy Light yellow. 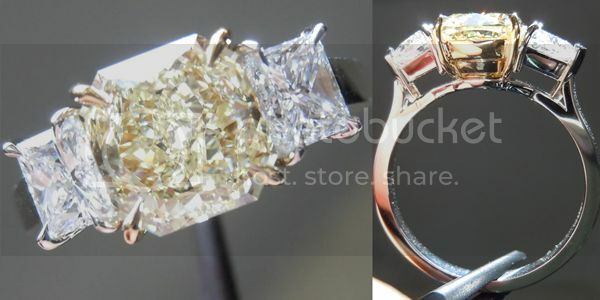 Obviously a sweet price to boot.